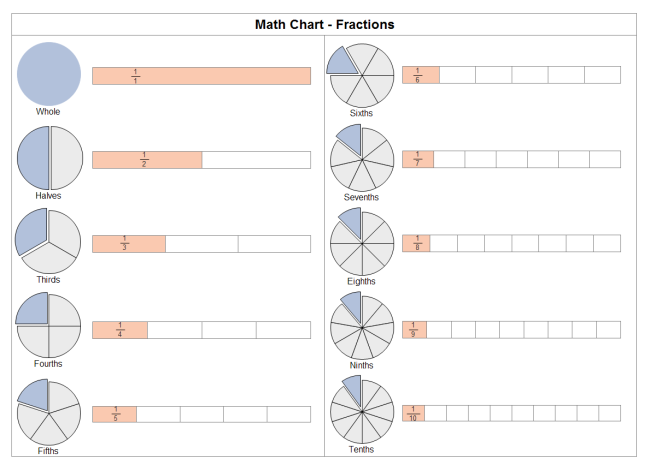 Description: This is a visual chart that makes the fraction concept very clear. Such vivid math chart is quite helpful for learning math. See more chart examples.